ThunderCats Hooo! 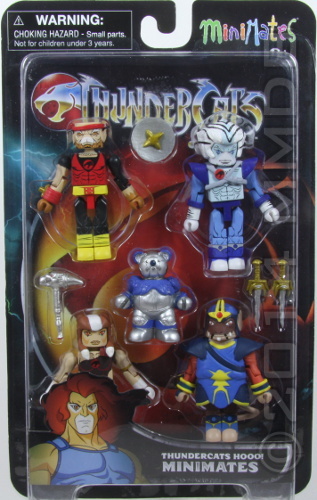 : In the five-part TV movie ThunderCats Hooo!, viewers met three new Thunderans, who were saved from the destruction of Thundera by the Berbil called Bert. Blacksmith Bengali, healer Pumyra and wise, sightless Lynx-O came to Third Earth unknown to the other ThunderCats, and the mutant Ratar-O sought to find them first, as a prize for his master Mumm-Ra.